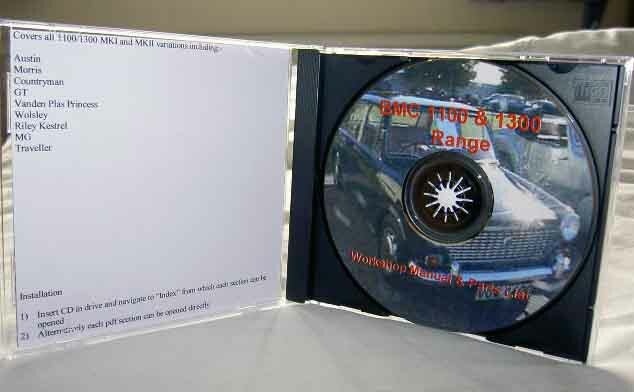 CD contains scanned parts and workshop manuals covering the BL - Austin - Morris - BMC 1100 & 1300 vehicles. These Austin Morris manuals would also be useful to anybody working with Minis. Manuals are in Adobe Acrobat Format, Adobe Reader is included on the CD.